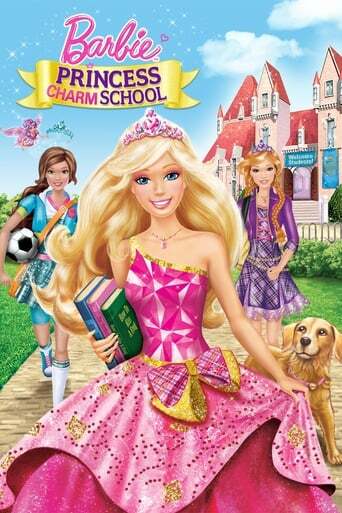 Barbie stars as Blair Willows, a kind-hearted girl who is chosen to attend Princess Charm School: a magical, modern place that teaches dancing, how to have tea parties, and proper princess manners. Blair loves her classes -- as well as the helpful magical sprites and her new friends, Princesses Hadley and Isla. But when royal teacher Dame Devin discovers that Blair looks a lot like the kingdom’s missing princess, she turns Blair’s world upside down to stop her from claiming the throne. Now Blair, Hadley and Delancy must find an enchanted crown to prove Blair’s true identity in this charming and magical princess story!